Liquid Sunshine Organic Bio-Fertilizer provides major plant nutrients & beneficial microbes which will continue to break down organic matter and cycle nutrients to plants. Best for high value crops such as tomato, kale, carrot, and corn. Makes up to 250 litres. 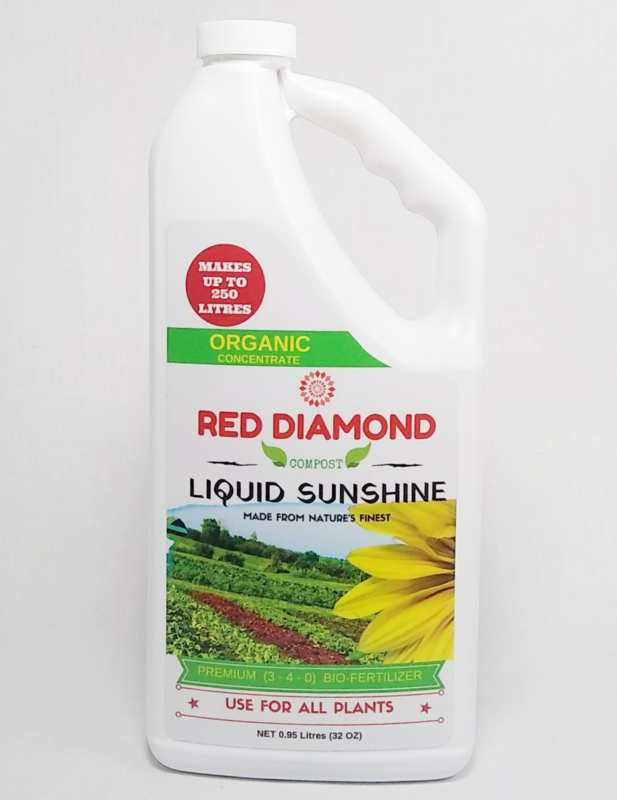 Red Diamond's Liquid Sunshine organic bio-fertilizer delivers a wide range of macro and micro nutrients for efficient plant growth throughout the growing season. Very effective during the blooming stage and excellent for maximizing fruiting size and overall crop yield. 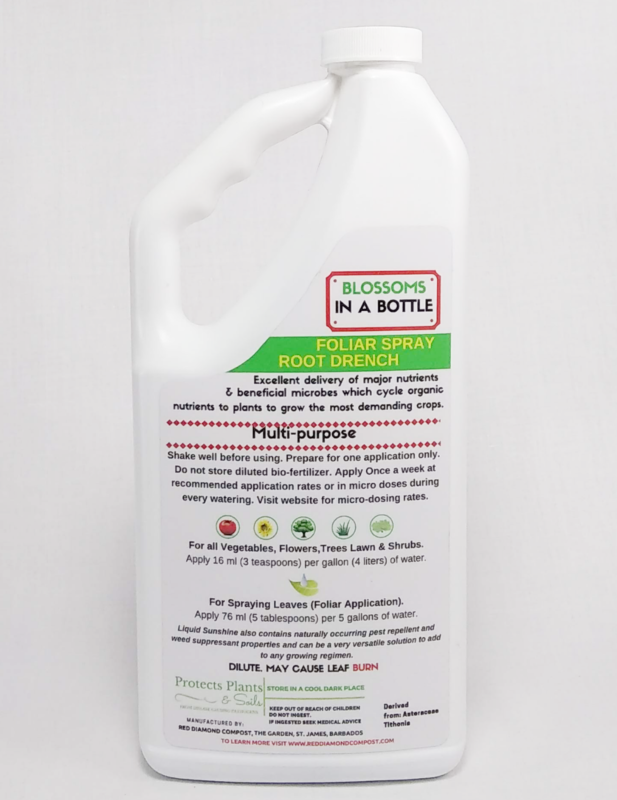 Liquid Sunshine also contains trace amounts of naturally occurring pest repellent and weed suppressant properties.